Start your engines- it is that time again and we are calling all cars and volunteers! 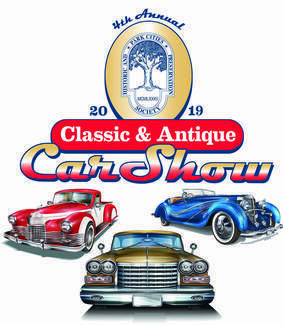 Volunteers are needed for the 4th Annual Classic & Antique Car Show at Burleson Park, 3000 University Boulevard, just east of the SMU campus. Volunteer shifts are from 8am-4:00pm on April, 27, 2019. Jobs include set up, check in, food and drink service, Help with kids activities, ballot distribution and collection, award presentation and clean up. Community service hours can be earned for this opportunity. Registration opens at 8:30 and the event runs from 10-3. We will have hard surface parking for show vehicles, music, food, drink and a raffle. There are multiple classes for entrants and trophies and club awards will be presented at the end of the day. Each volunteer will receive a free t-shirt. This is a charity show with proceeds going to support the mission of the Park Cities Historic and Preservation Society to preserve and promote the history, architecture, aesthetics and cultural traditions of the Park Cities. Please visit our web site to learn more about our organization ~ http://www.pchps.org.Thank you for helping to make this event a success! *In case of inclement weather, Rain Date will be May 4th. I will be there at 7 am to help set up. Hi Polly, I will be there for sure, Blake's a maybe with sports. I will be there 9 at the latest and stay all day. I'll let you know about Blake soon. Ananya and Riya can work the temporary tattoo table. My daughter, age 15, and I look forward to helping again this year!